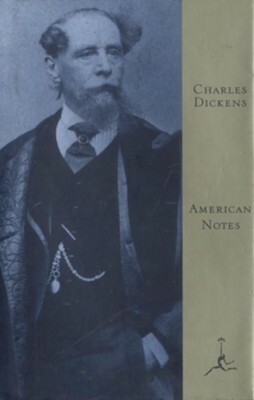 American Notes is the fascinating travel journal of one of nineteenth-century America's most celebrated visitors: Charles Dickens. A lively chronicle of his five-month trip around the United States in 1842, the book records the author's adventures journeying by steamboat and stagecoach, as well as his impressions of everything from schools and prisons to table manners and slavery. More than a travelogue, it is also a serious discourse on the character and institutions of a young democracy. Dickens distrusted much of what he saw, and he wrote so frankly that the New York Herald dismissed the work as 'the essence of balderdash.' In retrospect, American Notes can be read as the account of a traumatic excursion from which Dickens emerged, both emotionally and politically, a changed man. With a new introduction by Christopher Hitchens. When Dickens was ten the family moved to Camden Town, and this proved the beginning of a long, difficult period. (He wrote later of his coach journey, alone, to join his family at the new lodgings: 'I consumed my sandwiches in solitude and dreariness, and it rained hard all the way, and I thought life sloppier than I had expected to find it.') When he had just turned twelve Dickens was sent to work for a manufacturer of boot blacking, where for the better part of a year he labored for ten hours a day, an unhappy experience that instilled him with a sense of having been abandoned by his family: 'No advice, no counsel, no encouragement, no consolation, no support from anyone that I can call to mind, so help me God!' Around the same time Dickens's father was jailed for debt in the Marshalsea Prison, where he remained for fourteen weeks. After some additional schooling, Dickens worked as a clerk in a law office and taught himself shorthand; this qualified him to begin working in 1831 as a reporter in the House of Commons, where he was known for the speed with which he took down speeches. By 1833 Dickens was publishing humorous sketches of London life in the Monthly Magazine, which were collected in book form as Sketches by 'Boz' (1836). These were followed by the publication in installments of the comic adventures that became The Posthumous Papers of the Pickwick Club (1837), whose unprecedented popularity made the twenty-five-year-old author a national figure. In 1836 he married Catherine Hogarth, who would bear him ten children over a period of fifteen years. Dickens's energies enabled him to lead an active family and social life, including an indulgence in elaborate amateur theatricals, while maintaining a literary productiveness of astonishing proportions. He characteristically wrote his novels for serial publication, and was himself the editor of many of the periodicals--Bentley's Miscellany, The Daily News, Household Words, All the Year Round--in which they appeared. Among his close associates were his future biographer John Forster and the younger Wilkie Collins, with whom he collaborated on fictional and dramatic works. In rapid succession he published Oliver Twist (1838), Nicholas Nickleby (1839), The Old Curiosity Shop (1841), and Barnaby Rudge (1841), sometimes working on several novels simultaneously. From this point on his novels tended to be more elaborately constructed and harsher and less buoyant in tone than his earlier works. These late novels include Bleak House (1853), Hard Times (1854), Little Dorrit (1857), A Tale of Two Cities (1859), and Great Expectations (1861). Our Mutual Friend, published in 1865, was his last completed novel, and perhaps the most somber and savage of them all. Dickens had separated from his wife in 1858--he had become involved a year earlier with a young actress named Ellen Ternan--and the ensuing scandal had alienated him from many of his former associates and admirers. He was weakened by years of overwork and by a near-fatal railroad disaster during the writing of Our Mutual Friend. Nevertheless he embarked on a series of public readings, including a return visit to America in 1867, which further eroded his health. A final work, The Mystery of Edwin Drood, a crime novel much influenced by Wilkie Collins, was left unfinished upon his death on June 9, 1870, at the age of 58.